Roohi and Yash Johar turn 2 today, February 7, and we hear their dad is busy planning their birthday party. 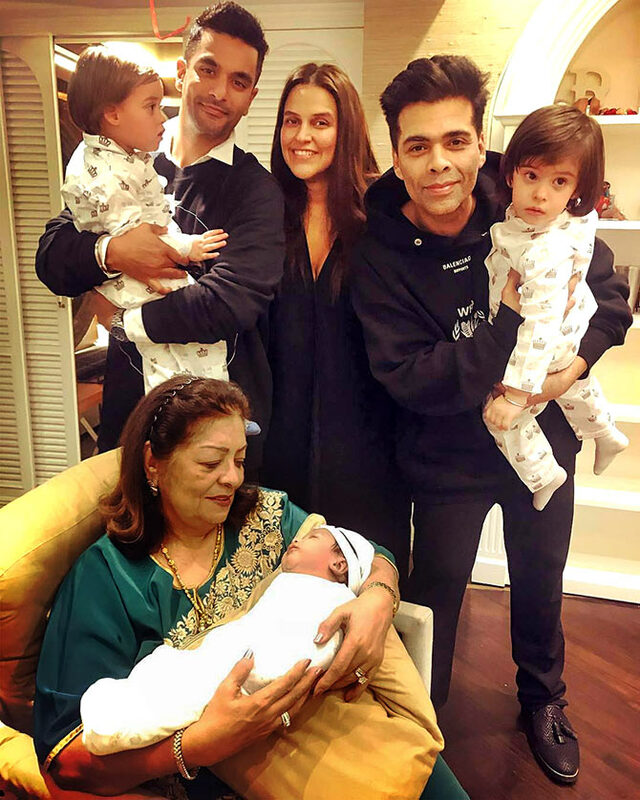 While we can't wait for the adorable party pix to storm social media, Karan Johar uploaded a cute video on his Instagram story where he is singing the birthday song for his twins along with his mum Hiroo Johar. Though KJo agreed he sounds besura, the video is delightfully sweet. 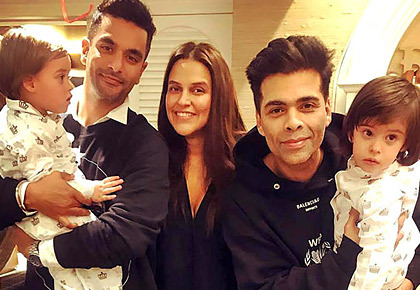 Neha Dhupia, one of Karan's close friends, took to Instagram to wish the kids. She shared an adorable picture on her Insta feed and wrote, '#happybirthday my dearest Roohi and Yash ... I still remember the first time we met and both of you screamed out loud ... "bbbbaaaaabbbbbyyyyyy".... I may not be joining you for your birthday celebrations this time as I will be busy... but I promise I ll create havoc with you very very soon... @mehrdhupiabedi'.